Chief Joop Berkhout (OON) is one of the few expatriates who have taken Nigeria as a second home after a long sojourn away from home. 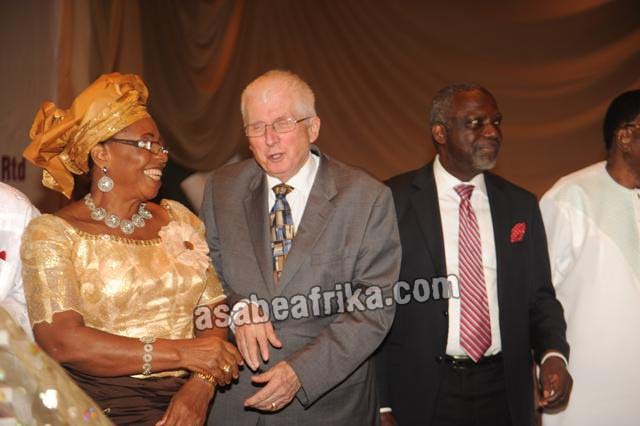 The Dutch born veteran publisher is the owner of the defunct Ibadan—Oyo State based Spectrum Books Ltd which is a leading book publisher in West Africa. 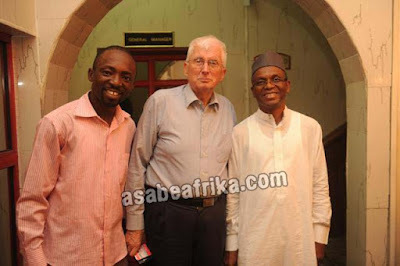 The 87 years old founder of Safari Books Ltd which published the much controversial book “Accidental Public Servant” by former minister of the Federal Capital Territory and present Kaduna State (North Central Nigeria) Governor Malam Nasir El-Rufai was equally the publisher of elder statesman and fomer Nigerian President and Commander in Chief, General Olusegun Obasanjo’s first book, “Nzeogwu” which detailed a bit of events and instances that led to Nigeria’s first military putsch. 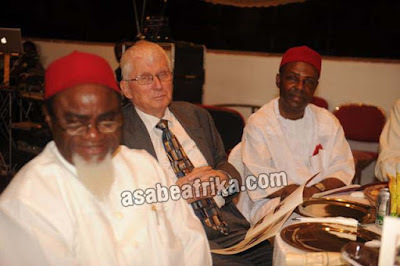 Chief Joop Berkhout who is the Okunborode of The Source (Ile-Ife) published former minister of science and technology, General Sam Momah’s famous book “Nigeria: Beyond Divorce” . 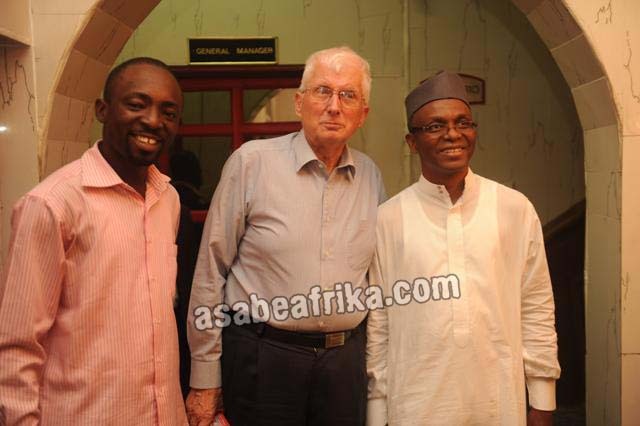 This very energetic Dutch man who has taken Nigeria as his second home opened the door of his Ibadan based Safari Books office to your Africa’s Number 1 Celebrity Encounter blog, Asabeafrika sometimes ago and gave us a no-hold barred interview on his relationship with eminent Nigerians like Chief Olusegun Obasanjo, late Chief MKO Abiola, Oba Okunade Sijuade (Olubuse II) late Ooni of Ile-Ife, Malam Nasir El-Rufai and many other very important dignatories. 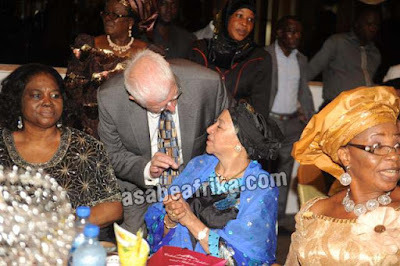 Chief Berkhout also defined his over 50 years friendship with General Obasanjo whom he descibed as a very compassionate leader. He spoke on his long stay in Nigeria and why he never remarried after his wife passed away couple of years ago. He didn’t forget to share the challenges of the publishing industry in Nigeria with Asabeafrika. Enjoy the excerpts. As veteran publisher of over 50 years, how would you describe the book publishing industry in Africa? I don’t think I will like to talk about Africa, I think in Nigeria there is a population of about 160 million people or a hundred and seventy million people. If 10% reads you are in business, Nigeria is in many ways a gold mine; if you do the right thing, you can find the market. Withing the range of a hundred and seventy million people, if a million people read my books I will be very happy. So, the market is here, the size of the market is enormous and it is expanding and people do read more than I believe. But the medium is fast changing, people do watch more of television, even the newspapers are selling less than before because now people get information on their telephone and other available platforms because of the changing face of technology. So, the world is changing and you have to change with the world. You published Malam Nasir El-Rufai’s book “Accidental Public Servant” which was believed to have sold massively Can you tell me the look of the balance sheet at Safari? The book is a very important inside information project by the former minister and we were very happy to have been appointed as the publisher. I was involved with my editorial team and I can tell you that it is a very interesting book, all I can say is that for anything you want to do right in Nigeria, you cannot do wrong. Anything you want to do that is objective and there is a market for it, you cant go wrong. Do you know why Shoprite is coming into Nigeria? They know Nigeria has the power of population and that anywhere you put up a shop, people will go in and buy. It is now we have a Shoprite in Ibadan but who ever knew that Ibadan will be fit to have a Shoprite some years back? But the Governor have changed things and opened the roads, people are more sophisticated, we now have a good number of the younger generation; people are more sophisticated and want new ways of doing things. So, that is the goldmine. It seems we don’t realize what we have and we make trouble. I have been living in Nigeria now for 50 years and I can say we are developing gradually; of course we got security problems, we got political problems but we should come to a federation, if you read the Daily Trust of few weeks ago where I was interviewed and I said government should play a less role in the country. Businesses like petrol price has nothing to do with government. In the UK, the petrol price pump goes up and down; one day they sell for 120 pounds and the next day it comes down, and it looks like going to shop in the market. So, like economic enthusiasts used to say ‘Governmnet has no business in business’ and I fully support it. 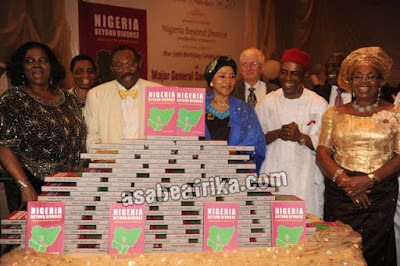 You also published former minister of science and technology, General Sam Momah’s book “Nigeria: Beyond Diviorce” couple of years back but recently when I was speaking with the General, he complained bitterly about massive piracy of the book. How are you tackling the demon of piracy as a major book publisher? Yes, even this book (Accidental Public Servant) was pirated, it was pirated heavily in Lagos and Abuja. It is a big problem, there is no work they will never pirate if it a good work. But we handled it in our own way by trying to stop it. We reported to the police and we picked up people that were selling pirated copies and took the copies away from them. But this is one of the things that is happening in our local economy; it happens with films, it happens in the music industry and it is happening all over. That is something that you have to live with but we can always change it if there is a political will and strong law enforcement provision. So, would you say General Momah’s book made good fortunes in the market? 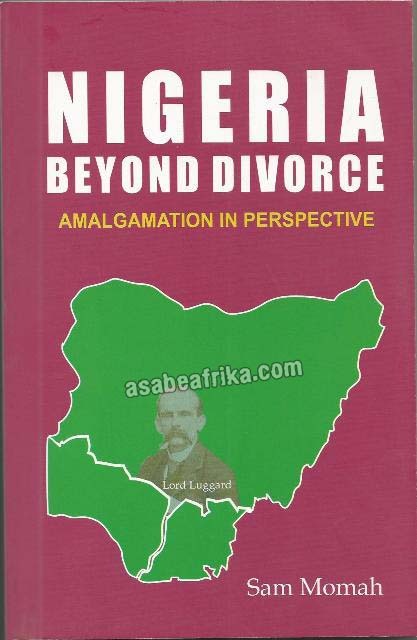 This book, “Nigeria: Beyond Divorce” is a research work, a master piece. The General has done a lot of good work for political scientist and historians. 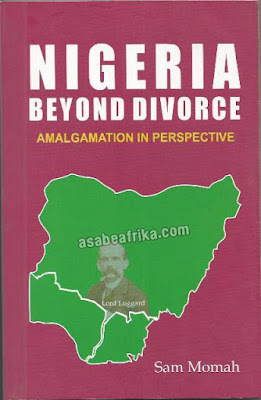 We did our best to push it in the market and I can tell you that the book is doing quite well in the market because of the issues raised inside the book; the issues of our unity in hundred years, the issue of population, ability to live and work together for a greater nation given to wealth and opportunities as against poverty and disabilities. We have the book in bookshops in major cities and we put a bit of it online, it is a very good book and I can say he is a fantastic author because I have been his publisher since the 80s and the 90s. I published some of his books on engineering and technological advancement. He is a highly educated person. So why did you shut down Spectrum books which is your first publishing company? I wanted to retire, I shut the company down because I wanted to retire. Maybe due to old age? And after two weeks retirement I got tired and fed up; so, I had to re-activate Safari. So, what is the different between Safari books and Spectrum books? We do specialize publishing at Safari Books, we call it ‘Contract Publishing’. We publish a book like your friend now (Referring to Alhaji Abdul Jamiu Abiodun Abiola who was with me on the trip) if he contract us, we publish it and he makes it. We call it Contract publishing, so we do a book for you and you take the book home; no marketing, no challenges. So, you can handle the marketing side of it. That is the different between Spectrum Books and Safari books. You have lived so long in Nigeria with a traditional title and a national honor to your name, why did you chose Nigeria? Yes, Nigeria is home. That is the reason. Why did you love Nigeria as your home away from home? The challenges. There is never a dull moment, meeting your friend (Jamiu Abiola) this morning, meeting you this morning. Somebody else is coming today; so, it is better to meet the new generation because things have change. You were very close to the late Chief MKO Abiola and you used to help him organize a book prize then, can you tell us about it? 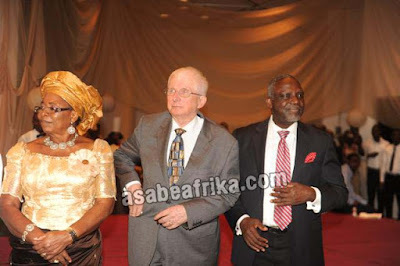 The Abiola Prize for Accademic Publishing and that was a great experience for me then because couple of times I got the prize but since his demise, the prize went on for two years but there was no participation from the family. I think it is a great shame because whatever is their differences in the family, the most important issue is Chief MKO Abiola. You need to continue with his name with a number of innovative ideas; continue that award for academic publishing. All the Abiola children must come together to show the world that the situation has changed and we honor our father that gave us the honor to be his children. It pains me a lot that the prize has completely gone, I spoke to many of them, there was a lot of animosity and hatred between themselves and I cant understand it. But now, I am speaking to Jamiu your friend may be he can organize it. 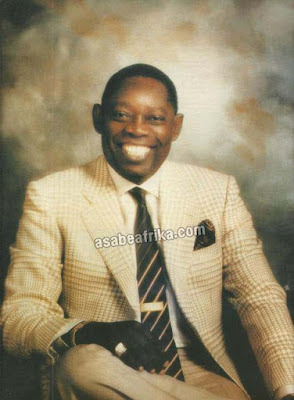 Doyin (Abiola) used to be in favor of it and for Kola (Abiola), I don’t know his mind. 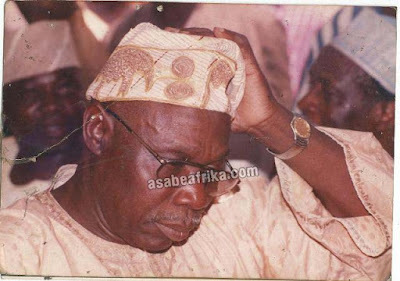 You will agree with me that it is not just only MKO Abiola that is the first great man to die and have his family disagree even the late Nelson Mandela’s family is going through the same challenge; what do you think is responsible for all this? Money is evil. That is why if you die, don’t leave anything behind. Are you saying fathers should not leave inheritance for their children any longer? Absolutely! It is better to leave a book behind than money. So, you saying people should rather sell all the properties and leave behind only a book in the will? No, make a proper will, a good will, that everybody gets what is entitled to be shared. 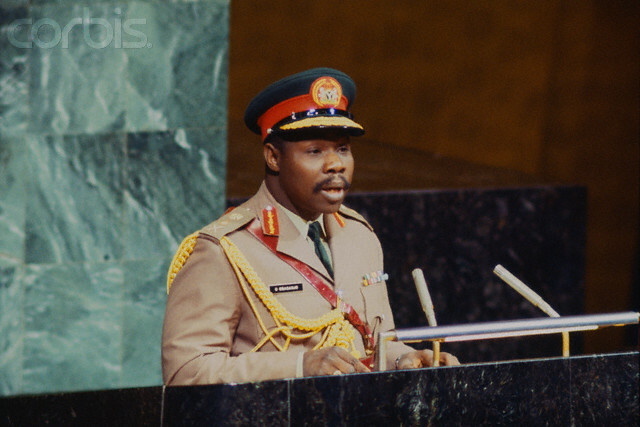 But Abiola was not planning to die early and his will was in dispute. All his wishes were in dispute here and that affected a whole lots of other things. But that is society, people get out of the shocks with time. We believe that by 2030, Nigeria will be one of the world’s economic powers if the country continues in peace and stability. Forget about this common issue that you are a Muslim or I am a Christian, what matters is productivity and ideas. Nigeria’s green is for agriculture, we can export everything good if we want, we only need the will power. The Government should be less involved in business, let the people do it and Nigerians wherever they are, they are good business people. They know how to run their business life. Are you married to a Nigerian? No, my wife passed away some years ago. We got four children. One of my son works in Lagos now, he just came back; he was born in Africa, he was born in Tanzania. So, why didn’t you remarry after your wife passed away? Was she a Briton? No, she was Dutch like me. So, why didn’t you re-marry? Why should I re-marry? I am too old now. That is not for me. What is your Nigerian best delicacy? Oh, I like pounded yam and egusi soup and snail. I like the taste very much. Pounded yam and Egusi, good Egusi, not the one made on the road side but the one properly cooked at home. You are also a traditional chief, who gave you your traditional title? I am a chief from Ile-Ife (The Source) I am the Okunborode of Ile-Ife, and I got a national honor. I got a OON (Officer of the Order of The Niger). Under whose regime is that? What is your relationship with OBJ? I am his publisher. I knew him right from when he was a military leader. During his first time in government and I published one of his books. Were you the one that published “My Command”? No, I published his first book, Nzeogwu. Oh, mine, yes, that was a great book and I think I will get a copy from you today. I have “My Command” and some other books authored by the General? I don’t even have a copy of Nzeogwu myself. Honestly, I don’t have it. 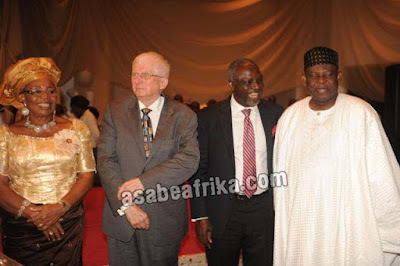 So, how will you describe General Olusegun Obasanjo as a close friend of over forty years and his publisher? Nobody is perfect. I will admire OBJ for re-forming our (Nigeria) image in the global arena because when he came into power, Nigeria had a terrible image internationally and when he became the president, he went around the world to restore our international reputation to bring about that lost international credibility because he is informal, he is open, I know him very well. A lot of people say politics is sometimes a dirty business but Obasanjo did a good job after Abacha to restore our reputation. He is very genuine. And he is very, very polite. If I call him now and he couldn’t pick his call, he will always call me back. He will jokingly say ’I just want to let you know that you call me’, he is a very, very passionate person. To me, personally, he is a good friend of mine. He is a great man. I have been with him to Holland and on state visits to South Africa; so I know how he operates, highly respected. He is highly respected globally. He is a great person. He is a very informal person, very nice person, very simple. He eats very simple and lives a very simple life. He is just what you see, no airs of arrogance, no overbearing nature. He is a simple man. A former aviation minister Chief Femi Fani Kayode once described OBJ as our own Nelson Mandela, do you think that is correct? Nobody (mortal) can be compared with (Nelson) Mandela in this world, nobody. Mandela is the most unique person in the world. Nobody has ever gotten 98 heads of state at a funeral. The entire world had just one person to give this kind of honor, you know why? Twenty seven years in jail and no business, he forgave all his jailers. His jailers were in operation when he became president; I met him (Mandela) a few times. He had no bad feelings towards anybody; he is the most unique personality in this world, nobody can match him, nobody. All over the world, in the US and Great Britain. Shortly after his death, if you were in the US, at every news stand in the US and every other country there were copies of magazines and news papers reporting that he had died. Nothing negative was written, we don’t have any Nelson Mandela in Nigeria. We haven’t got any. No, no, no, he knows it. Mandela forgave his greatest enemies and his jailers. I have been to his jail. I went to Robben Island, he told me to go there. So, who is the Nigeria’s greatest leader that you ever knew in your entire 50 years of staying here? I think as a general person it is (General Yakubu) Gowon; I respect him because he fought the civil war and he ended the civil war with his troops and he was forgiving because he accepted everybody back into the country.